Singapore has a deep-rooted and a particularly long history as a rock-hard offshore financial center. A recent survey by the Triennial Central Bank, found that Singapore is the largest FX center in the Asia-Pacific region. 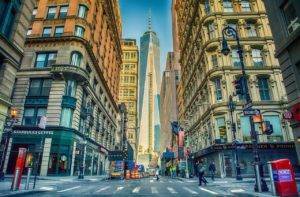 It is also found to be the third largest financial market in the world after London and New York. Singapore is a financial center in the region; with many world-class banks, brokers and wealth managers. Which makes Forex trading in Singapore very Popular. There are robust and solid regulatory structure in place that regulates brokers and safeguards forex traders. The strong regulation provides adequate protection to both individual and corporate traders. The Singapore forex market is broadly known to be well regulated and that there are presently over 600 financial institutions located in Singapore including banks, insurance companies, forex and CFD brokers. The operations of all these financial organizations including Forex are being monitored and regulated by the Monetary Authority of Singapore (MAS). “MAS” is charged with the responsibility of acting as Singapore’s central bank. It officially manages the country’s foreign reserve and work as the Forex regulatory authority. For any broker to operate in the country, it must obtain a Capital Markets Service License issued by MAS. Apart from acting as a Forex regulator, MAS also perform a number of other functions, which includes playing a role as the central bank of the country, managing insurance, banking, securities, money, currency issuance laws and the regulation that guides the whole financial sector. MAS also has the responsibility of developing an online financial network, referred to as MASNET, which has developed to be a communication center for submitting MAS returns and a center where financial bodies like banks and financial institutions exchange information. It as well encourages and makes it possible to direct credit of share dividends to shareholders’ banks’ accounts, development of workflow apps and the supply of data services like the Directory of Financial Institutions. “MAS” represents the Monetary Authority of Singapore and is the body responsible for regulating Forex brokers in Singapore. Before 1970, monetary functions were mainly carried out by government departments and agencies. In 1970, the Monetary Authority of Singapore Act was passed by the Parliament of Singapore and that resulted in the creation of MAS. “MAS” was authorized by the act to serve as a regulatory agency for monetary policy, finance, and banking in Singapore. In 1977, MAS was given the additional role of also regulating the insurance sector of the country. And in 1984 regulatory roles under the Securities Industry Act, 1973 were also given to MAS. CMC Markets Singapore Pte. Ltd.
CIMB Securities (Singapore) PTE. Ltd.
Citigroup global markets Singapore PTE. Ltd.
City index Asia PTE. Ltd.
OANDA Asia Pacific PTE. Ltd.
Travelex global financial services (Singapore) PTE. LTD.
Generally, FX traders who want to open Forex trading accounts in Singapore must provide a government-issued identity document (drivers’ license or international passport) and a utility bill to show their proof of residence. Accounts are commonly operated in US Dollars or in Singaporean Dollars (SGD). Trading conditions in Singapore are restricted similarly like the US forex trading environment. The beneficial aspect of this, is that it allows traders to open Forex trading accounts in Singapore with only the amount of money they can afford, and no trader is able to trade with High leverage which is common with offshore brokers outside Singapore and the United States and now the EU. It is currently not aloud to trade with an automated trading machine on Forex accounts in Singapore. Additionally, Forex brokers in Singapore do not provide the MetaTrader4 platform for trading. 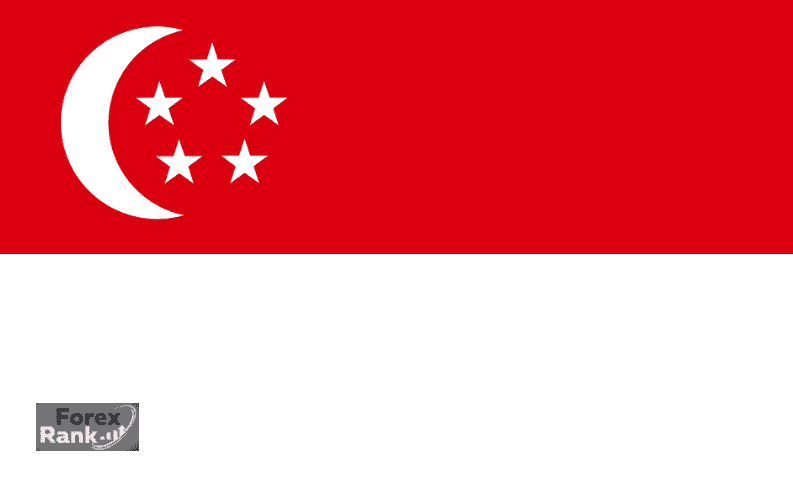 Singapore is reputed as the largest foreign exchange center in the Asia-Pacific region. This is why many Singapore residents are seeing Forex trading as a form of investment. Other benefits of Singapore comprise a booming economy and an excellent business climate. To ensure the safety of traders and ensure brokers comply with the rules. MAS rolls out regulations that must the followed – like maximum leverage to be offered by brokers and so on which is set at 20:1. Forex trading is a risky investment on its own. You will put yourself into an additional risk by deciding to trade with an unregulated broker. MAS regulated Forex broker has the best interests of traders at heart and has laid down rules for safeguarding the interest of retail traders in the best possible way. There are a lot of features of MAS Forex brokers that make them the reasonable option for individuals who want to trade safely and gain the best protection possible for their invested funds. MAS regulation mandates all its regulated brokers to have a segregated account which separates the fund of the company with that of the traders. This ensures that traders are able to retrieve their money back if by chance the broker goes bankrupt anytime. Any individual or company offering financial services in Singapore needs to be either be licensed, exempt or else regulated by MAS. The best possible way of officially getting financial services in the country is to ensure you deal with those that have MAS regulation. This is due to the fact that MAS administrative rules and regulations are meant to keep the customers of financial services safe. MAS does this by ensuring that only competent and professional organization or people offer financial services in the country. MAS also mandate its brokers to disclose information on the investment products they are marketing to consumers. When you deal with an individual or forex company not regulated by MAS, you are simply risking your fund and would be unable to get the same protection you’ll get when you trade with under MAS laws. MoneySENSE was launched in 2003 with the intention of assisting the public to be more independent financially. A Financial Education Steering Committee oversees the program, and it is presided over by MAS, which is an indication that MAS is a consumer-oriented body. Added to its regulatory role of ensuring consumer rights and investments are protected, MAS is charged with the responsibility of educating the public and offering them the information they need to make better informed financial decisions and to look after their finances in a better manner. The Moneysense financial educational program was launched in 2003 with the aim of making the general public more financially self-reliant. The head of the MoneySENSE program is the Financial Education Steering Committee under the chairmanship of MAS. MoneySENSE issues constant consumer alerts including providing a highlight of a few of risks involved in selecting an unregulated financial services provider. One risk that traders and consumers face is false or misleading regulatory information. Most unregulated Forex brokers all over the world regularly disguise and claim to be licensed by a popular regulatory body, to make them seem like a legitimate organization. Every so often, the unregulated broker will register with a name that is very similar to the name of a popular MAS-regulated broker. Because of this, you need to take caution in examining any regulatory data a provided by a broker. MoneySENSE as well offer consumers advice on ways they can additionally keep themselves safe and stay away from scams. MAS-regulated brokers are charged with the responsibility of handling customers complaints promptly and efficiently. If a consumer has a complaint to make against a forex broker, he needs to, first of all, write to the broker first to have a record to shoe communication. If the complaint is not resolved, satisfactorily, the consumer can then contact the Financial Industry Disputes Resolution Centre (FIDReC) within 6 months of last communication with the financial organization. Other alternative resolution options you have include contacting the Consumers Association of Singapore or the Singapore Mediation Centre or taking a court action. Together with a lot of other global regulators, MAS is working towards setting collateral requirements for non-cleared over-the-counter derivatives. Regulatory bodies in many countries like the US have earlier done this. In Singapore, the topic of limited leverage is still going through debate. The decision would be made towards the end of the year.